These are so cute Sherrie! Love the fun colors. Your niece will love it! 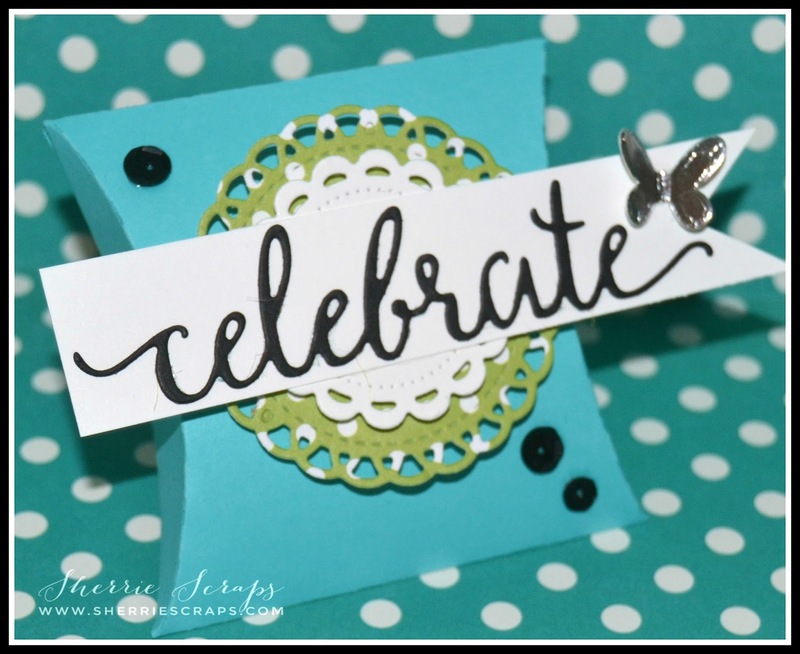 Love the use of dies on this card.Very pretty. 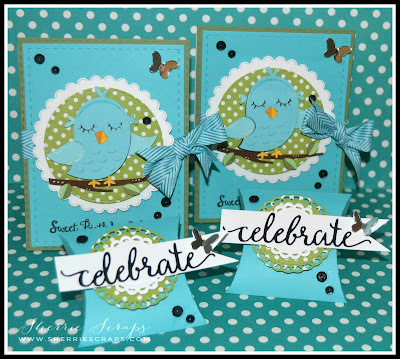 These are so sweet and adorable, Sherrie!! I love the birdies!! The colors are fabulous, too!! And the treat boxes are perfect with the cards!! Gorgeous, my friend!! I love them!! So happy to be hopping with you!! Such adorable gift sets Sherrie. Love the blue and green. What a 'Tweet' birthday set. Love this card and treat holder. 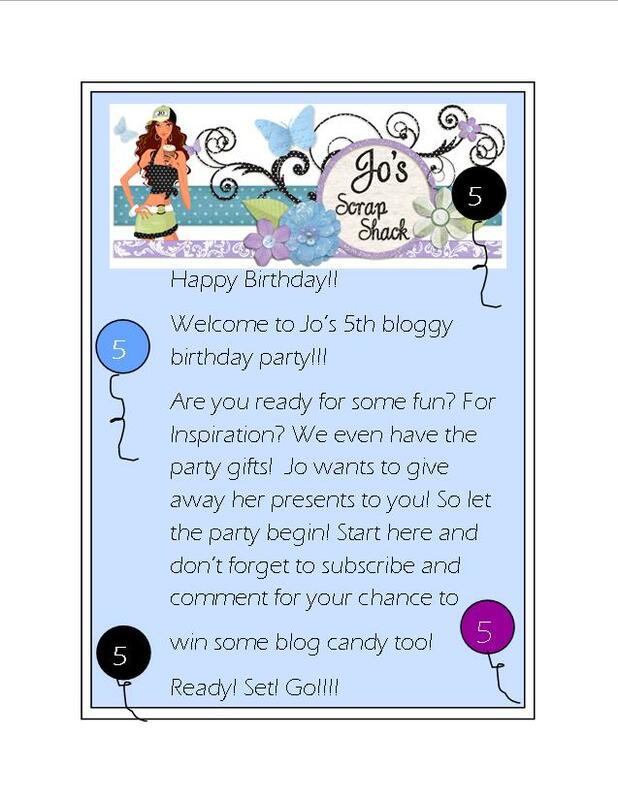 Thanks for joining us on Jo's Blogaversary Hop. Sweet card and treat box combo! Love the colors and that adorable bird! Thanks for celebrating with this fun hop! I am already a follower here! These are just too darn cute Love that shade if bue and the the little birdie is adorable. Love it. I love the super cute birdie! 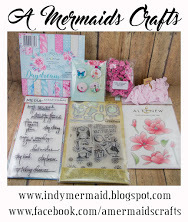 !The bow is so pretty and I love the pretty little butterflies!Adorable cards and fun treat boxes!I just noticed the pretty doily too!That die is on my wishlist!You did an amazing job my friend! My prayers & love continue.. Such an adorable birthday gift set! Adorable card and rest Box!! Adorable card and treat set! The little birdie is just the cutest thing ever! Your bow looks gorgeous and the butterflies are a fun accent! Everything looks so amazing! 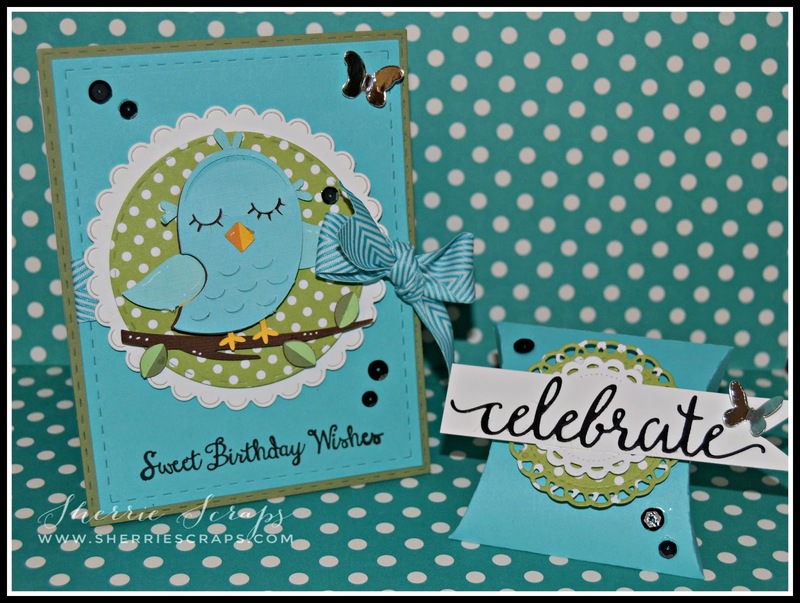 Such an adorable card and treat box, love the bird and colors! 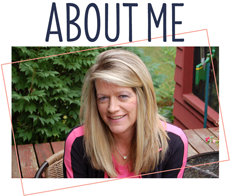 Oh, Sherrie, your projects are always so wonderful, and this one is a special treat! I love the bluebird, and it just pops of that fun green panel. 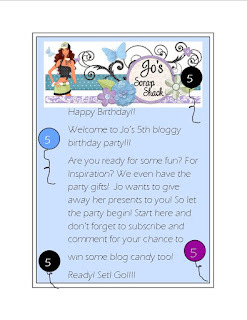 Thanks for wishing Jo a happy Blog Birthday in such an incredible way! Am loving seeing all this talent & inspiration on this Hop. My first hop & first time on your site. Thanks for sharing! Your cards and pouches are so sweet! Such an adorable bird and that blue is just perfect for springtime!! Beautiful... love the colours used...thanks for participating in the blogversary...Happy 5th Celebration ..HB wishes to your little nieces.. I am loving the cards with matching treat boxes... way cute. Love the colors! Thanks for sharing! So very sweet Sherrie! Those little birds are darling! What a great gift ensemble! Hope you have a great weekend! Awww, I am loving this set Sherrie! 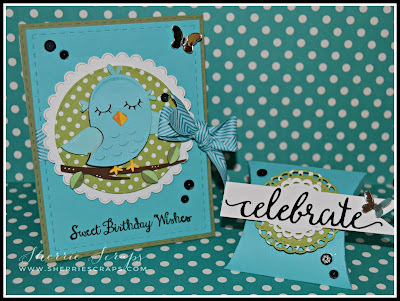 The vibrant sky blue is so uplifting and that little birdie totally made my heart melt! The little metallic butterfly is a lovely extra and the jet black accent bits create a lovely contrast against the fresh spring palette! Another wonderful and creative project Sherrie! These are ADORABLE! I am LOVING that little birdie!!!!!!!!!!!!!!!!!!!!! Adorable!! I love your color choices and this could work for almost any age! Congratulations on the 5th birthday! These are adorable!! I don't know which is more cute: the little bird or those super cute little treat boxes!!?? Why is it that the smaller something is, the more adorable it is? Anyway, Love the colors and that polka dotted paper. How cute! I really like the colors, and the polka dot circle behind the adorable image. Cute darling cards. love all of the blue. The bird is darling and love the green behind the bird. the bow is a great touch. Hi Sherrie. First, I want to say what a beautiful website you got! Your card and treat box combo are so adorable! 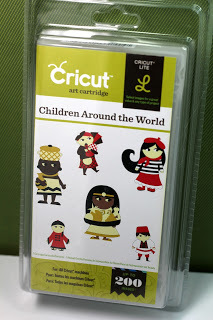 Your niece is going to love these! Any kid would! Including mine :) I don't often work with die images. 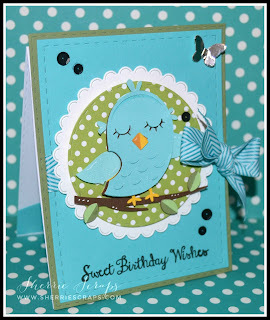 So it is very refreshing as well inspiring to see this owl card of your. So very cute and great combination of the blue and green colors! 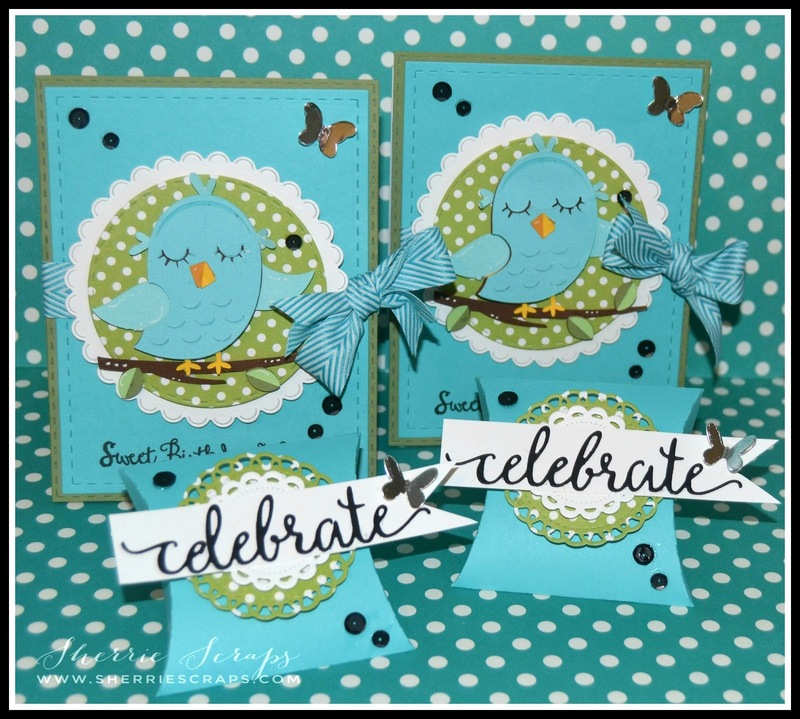 Sherrie, it is so nice to be hopping along with you and helping Jo celebrates her big 5. May you have a lovely rest of your weekend. Take care. Oh goodness Sherrie this little birdie just stole my heart!!! What a BEAUTIFUL birthday card and treat box! Lovely colors for sure and I just truly cannot get over how cute that birdie is! Aahh... Sherrie.. you and I have been friends for about four years now... and I am truly honored and blessed to be able to call you that. You are such a beautiful person ... inside and out. I truly adore you and I value each and every conversation we have... 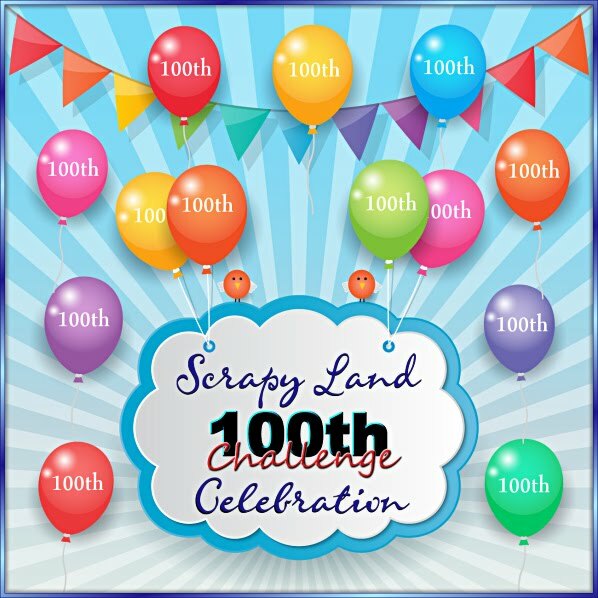 I am so blessed to have you in my life and overjoyed that you were able to take part in my special milestone blogaversary this year! Thank you so much from the bottom of my heart for being such an awesome person and an amazing friend!!!! And sorry I couldn't get to your blog sooner for this, it's been pretty rough these last couple of days! Hope all is well with your dad.. thinking of you always. 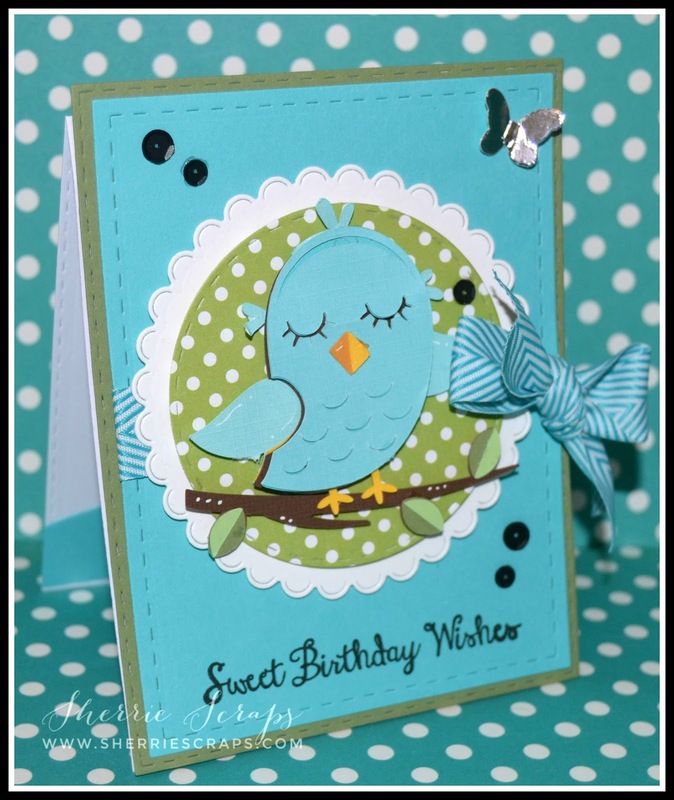 Adorable bird and love your card! aweee....so super cute...love the little birdies! Love the colors in your set the pillow box is adorable and the little bird so sweet! What a Sweet Card and Gift Box. That little bird is so Cute! I think sequins adds so much to a card. I enjoy seeing your creations so much. These are so sweet! Love the coordinating treat box too. Awww, Sherrie, those birds are totally adorable. Love the blue and green -- such a pretty combination. So, so sweet! That little bird is just cute as can be and I love that big, beautiful bow!